The internet is an amazing tool for real estate - and the first place buyers search for homes. From the comfort of your own living room you can browse pictures and take virtual tours of countless houses to make a list of serious contenders before traveling all over town. Needless to say, photos are extremely important and are easily the deciding factor between "schedule a showing" and "add it to the 'no' pile." 1. Layout - Pay special attention to the flow of the home. Does it make sense for your family? Is it visually appealing to you? Will it be a home that will grow with your family as time goes on? Also make a list of any special needs you may require your home to have and look for those specifically. 2. 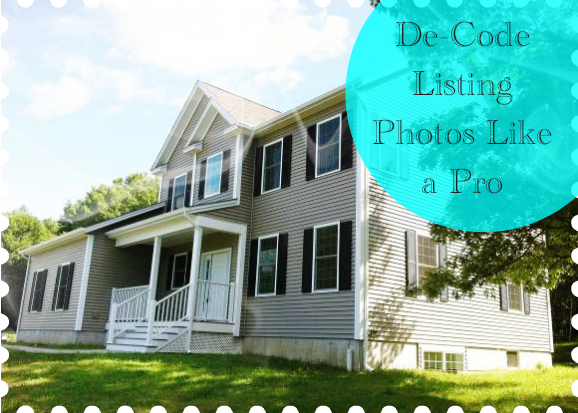 TLC - Listing photos are meant to spotlight the best features of a home. If you are able to see that work needs to be done, are you up for the challenge? Decide ahead of time how much updating you are willing to tackle and stick to that. You'll have to decide whether the potential is worth the sweat equity along the way. 3. Landscaping/Maintenance - Decide how much yard work and regular maintenance you are ready to take on, and match that to your short list of properties. Think about the added costs, and of landscaping - will you be doing it yourself, or will you hire the work out? Do you already own the proper equipment, or will you have to purchase it? Does the home have a swimming pool or pond that will need to be kept up, or made safe for your family? These factors don't reflect on the home itself but will impact your overall enjoyment of the property and shouldn't be taken lightly. 4. Location - How do you feel about being on a busy road? Would having neighbors close to you be a good thing or an invasion of privacy? Are you looking for lots of land? Think about your hobbies and how much outdoor space those require and look for a home accordingly. Also factor in the proximity to shopping, schools and other necessities. No matter how much you love the home, if the location isn't suitable you'll never be satisfied. 5. Pay attention to what you don't see - Do the remarks mention rooms that aren't shown? That could be a red flag that they are in need of repairs or updating. Are the photos all taken during the winter? If you're curious about the home during warmer months ask the listing agent if more photos are available. Remember, photos can only tell part of the story. If you're on the fence about a home based on the photos, consult your agent to get advice on the home and whether it would work for you. Once you and your agent have a solid list of possibilities you can narrow down your search in person and the real fun begins!